The virus on my computer started one place and then branched out to other parts of my computer. 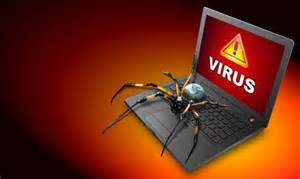 The virus moved so quickly and stealthily, I could barely get the system to download the remedy for the virus. Then things got worse. I got an email from an old boss saying that I had sent him a virus. The virus sent itself out to everyone in my contact list. UGGHH!!! I had use another computer to tell people don’t open an email from me. My computer virus nightmare seemed like it would never end. Then finally, the new anti-virus software I had downloaded kicked in and my computer was virus free. There is no way to contain a virus in one section of your computer. 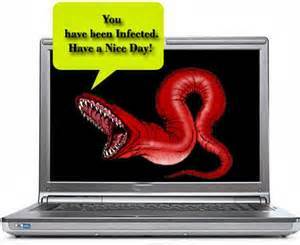 Once your computer is infected the virus can move freely throughout the system doing damage, collecting data or sending out messages without your knowledge. So it is with sin. One habitual sin left in our lives can worm its way into every facet of our lives. Just like the computer virus, sin can destroy all that we’ve worked to accomplish in our spiritual lives. First it’s just little things. We’re not praying or reading the Bible as much as we use to. We’re not attending Bible study as often. Then, another sin, we thought we were delivered from rears its ugly head and we heed the call. Not only does the sin bring “birth to death” (James 1:15) in us but also to the people who are watching us. Our spouses, children, friends, family members and even some people we don’t know are watching us. They are watching how we live because we say we’re Christians. When we purpose to leave habitual sin in our lives the people who are watching us think they can live like we do because we’re following Christ so it must be okay, right? Wrong! But they don’t know it’s wrong because they are following us. Now, the virus of habitual sin has spread from us to them. Some people will say, “They shouldn’t follow me, they should follow Jesus.” Well, if you say you’re a Christian and you’re following Jesus, why can’t they follow you? You may be the only Bible some people see or hear. Don’t you think you should represent Jesus in such a way that others can follow you? The virus of sin never stays in one area of our lives. In fact, it doesn’t stay in our lives. 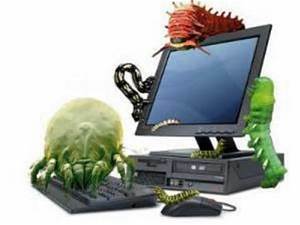 Just like a computer virus can spread to other systems that are connected to the infected computer, so can sin. Our sin can spread to anyone who is watching how we live and infect their lives just like it has infected ours. But, we can download the God’s word and begin to remove the infection from our lives. P.S. If you don’t want other people to follow you as you follow Christ, please stop telling people you’re a Christian. You’re messing up the testimony of Jesus Christ for the rest of us! I have several electronic devises at my disposal on a daily basis. I have my home computers, my iPad, my Zoom tablet and my iPhone. Not to mention the electronic devises I have for work. All of my systems have different types of software installed but all systems, except my iPhone and iPad, are Window based systems. So all the electronic devises I use operate pretty much the same way. One day I was working on my system at home when I received an email from an old friend. When I opened the email I realized it was a chain letter, so I deleted the email and continued my work. Over the next few days my computer just wasn’t acting right. At first, it was small things that I chalked up to computer glitches. The keyboard and computer stopped communicating correctly because the computer stopped responding to my keystrokes and function keys. Then my sound system started fading and my computer started freezing. After that, some of my programs stopped working all together. I checked my configurations and made sure all my apparatuses were hooked up correctly but no matter what I did, my computer was acting as if it had a mind of its own. My computer was running amuck! The email I opened from my old friend had a virus and it was destroying my operating system. Sin in the life of a Christian is just like the virus that infected my computer. It will destroy the renewal of our minds, corrupt our morals and ethics and, ruin our relationship with God the Father. One “small” sin left unchecked will cause our walk with Christ to fall into a position of not being fully functional, which means our spiritual well-being will be jeopardized. Sin left to grow and flourish will cause us to lose connection with the Holy Spirit because sin runs interference and doesn’t want us to remedy the problem. Our sinful person, our flesh, likes the sin but our spirit person is grieved when we sin. Let’s examine our spiritual operating system. Do we have any sin that is causing disconnection between us and God? If so, let’s deal with it for the truth that it is and get rid of it! 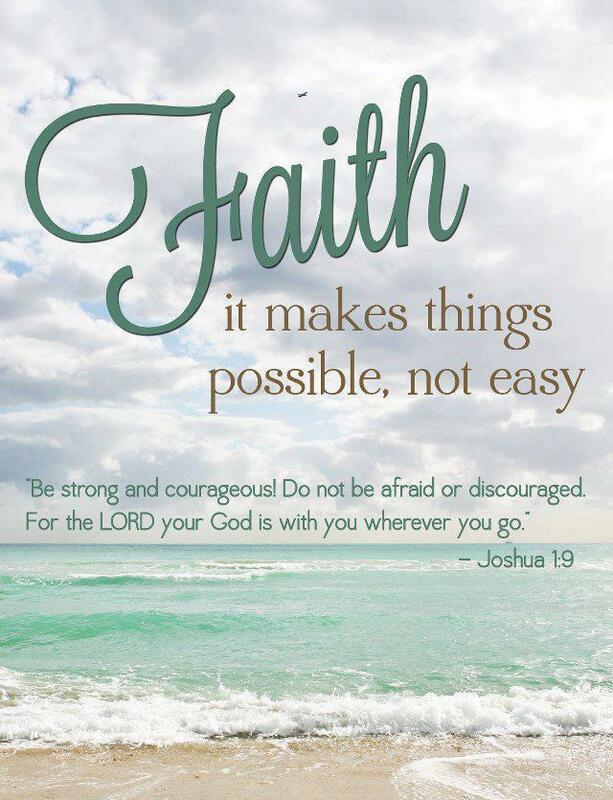 Father God, I trust You and my faith in You does not waiver. 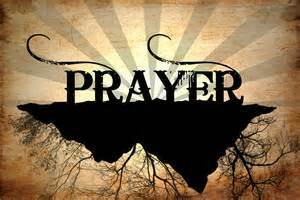 My issue is waiting for You to manifest what I need after I’ve prayer, waited, prayed and waited some more. I know You will do “it”, but when? This is the sticking point of my faith. Forgive me for worrying and fretting when things don’t go the way I think they should. Forgive me for grumbling and complaining when Your timing doesn’t coincide with my timetable. I trust You Lord. I have faith that You will so everything You said You’d do. I’ve allowed the reality of our microwave society to creep into my relationship with You and distort my perception of time. I trust You and have faith in You, but too often I allow bad judgement or bad decisions that I’ve made to put me in a bind and then I expect You to run to my rescue. Over time, I’ve put myself in bad situations but, I want you to get me out of the mess I’ve made in an instant. Forgive me! The truth is, You don’t operate on the world’s timetable and, for my own good; hopefully to teach me a lesson, You allow me to be uncomfortable so I can learn to be content with what I have, be content with where I am and involve You in my decisions. Father, it is not my intent to operate with a lack of faith. Please help me to wait. In the name of Jesus I pray. Amen. If we follow God’s commands and decrees and are obedient to all God has instructed us to do and carry out our duties in excellence and expectation; we are operating by faith. Can I say that this is much easier said than done! We often feel if we do everything we’re supposed to do then God should do what WE want Him to do, the way WE want Him to do it and when WE think it should be done. NOPE! That’s not how this works! In the aforementioned passage of scripture, Habakkuk was asking God questions because, while he trusted God, he was confused about God’s methods. 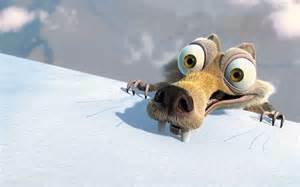 Habakkuk states, “I will stand at my watch and station myself on the ramparts…” (Hab. 2:1a NIV) In other words, Habakkuk says he’s not going to stop doing what he’s supposed to do while he awaits God’s answers. 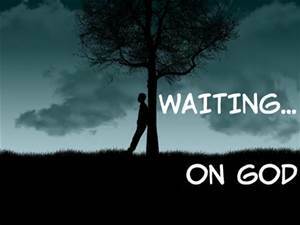 He’s going to continue to fulfill his purpose and wait with expectation to get the answer he needs from God. Habakkuk knows he maybe rebuked by God, but he still seeks an answer and is waiting for God to give it to him. To truly say we are operating in faith, we must wait for God’s timing AND still do what He told us to do WITHOUT complaining. Asking God questions, trying to get clarification is okay, but complaining is not okay. Remember when the Israelites started to complain in the wilderness after God had delivered them from slavery in Egypt? A trip that should have taken days ended up taking 40 years! 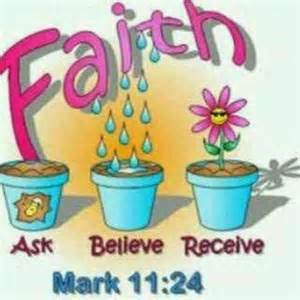 True faith; waiting on God to do it faith, can be nerve wracking! Faith can cause you to loose friends and gain haters. True faith can be a dividing line; do you really trust God enough to work while you wait on the answer? Do you really trust God enough to know that the answer is coming in God’s perfect time which will probably not coincide with your time? Are you willing to never give up on your purpose no matter what other people may say or do? True faith is not neat and pretty. True faith is often not easy nor convenient. It doesn’t come in a cute little package all wrapped up and delivered to us just when we need it. TRUE FAITH IS WORK! Noah operated in true faith. He built an ark, according to God specifications without a basis for building it. People talked about him, ridiculed him but still, because he had true faith, he worked on the project God gave him until it was complete. Jesus operated in true faith. He allowed himself to die on the cross because He had enough faith to believe He would be raised on the third day. So now, ask yourself, do you operate in true faith or wimp faith? There is an old Sam and Dave song that has a hook that says, “Hold on, I’m comin!’” Thankfully, we did not enter into our Promised Lands with Sam and Dave. If we had, when we were in trouble, we would have had to wait until they got to us before they could help. We don’t have to worry if God is going to rescue us from our enemies. We don’t have to fret about God’s showing up on time. God is with us even when it feels like our enemies are overwhelming us and He never needs to be rescued. He’s always the mighty one. There is nothing and no one greater than God and He will never leave us! All of us had to fight to get into our Promised Land. We had to fight our pasts, our disappointments, our worries and our anxieties. We had to fight our low self-esteem, our heartbreak and our intimidators. Through all of these things, God was with us. By God’s grace and His mercy we made! Through hard-fought battles, most won but some lost, we made it. Here we stand on the soil of our Promised Land, and guess what? We still have to fight! Just like the Israelites had to fight when they marched into their Promised Land; they had to battle at Jericho, Ai and other enemies, so do we. The good news is, just like God was with the Israelites, He is with us! He is our very present help in the time of trouble. The philosophy of F.I.T has stuck with me through the years. I found it to be true in every facet of life. If I want to save money, I have to monitor my spending frequently, be intense about self-control and make routine assessments (time) about where I am with my financial goal. The same thing is true for my spiritual life. Frequency: You set aside time that is specifically dedicated to having a dialog, not a monologue, with God on a routine basis. Dialog means everyone in the conversation gets to talk and everyone gets to listen. Unless you are a late night talk show host, none of your conversations should be monologues. Your prayer life is not hit or miss if you are practicing frequency. Intensity: Intensity means the correct amount of effort to achieve your desired results. Some people think that intensity means flat out all the time. That’s not the case. Every day I work out I’m not a sweaty mess. Some days I’m lifting weights, which don’t require as much intensity from me as floor exercises or cardio. What I am trying to achieve determines the amount of intensity I use. Sometimes you may be praying, crying and lying prostrate on the floor. Other times, you may be praying while you’re driving, while you’re working or during an event. Your intensity will be different because your amount of effort is different. Time: How much time are you willing to carve out of your daily routine to devout to communicating with God? 5 minutes? 10 minutes? An hour? How much time you devout to your communication with God will determine your relationship with God! The more time you spend with Him, the better you get to know Him. For the first time in my life I decided to grow a vegetable this year. I was talking to the farmer where I purchased my flowers and told her what I wanted to do and she suggested a table top tomato plant. She said they were easy to grow, easy to maintain and I could put them someplace where I would see them every day so they wouldn’t die on the vine. 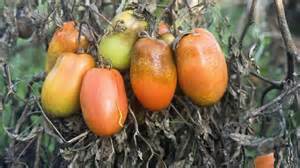 She was correct on all points: the table top tomatoes are easy to care for and maintain, plus they sit on my deck so I see them every day and I can watch them as they flower, fruit and mature right before my eyes. If only our spiritual gifts were as easy to grow, maintain and watch. Maybe then so many Christians wouldn’t allow their gifts to die on their spiritual vines. During these times of defeat I’d still write the Daily Prayers and the Words for Today but I wouldn’t send them out. Then, I’d get an email from someone saying, “hey, where’s the daily reading?” Sometimes I’d know the person but often times I didn’t. I realized that what God had me doing in this portion of my ministry was important and helpful to people other than just me. And, if I continued to be selfish with what God was giving me, then the fruit that other people needed would die on the vine in my spiritual garden. We all have spiritual fruit which grows out of our gifts. EVERYONE has at least one gift, according to I Corinthians 12:11, given to us by the Holy Spirit and, the Holy Spirit made the determination of who got which gift. Sometimes we allow our fruit to die on the vine because we don’t value the gift we’ve been given. Selah!